"Taboo" looks like a suitably robust role for Tom Hardy. Seems like there's a lot of Victoria grotesqueries too. Wow! That trailer made the hair on my arms stand up. I think it is going to be very intense and very good. Mars sounds interesting also. I just recently watched a movie with Tyler Sheridan in it. He's quite the young actor. I've not seen him in anything either. The only thing I know about X-Men, is what you post here. I haven't seen any of the superhero movies and I'm sick of them. I have to admit, Taboo looks like something I would enjoy although it is dark. I may not be around much till next week as I've loads of painting to do for the Challenge and we've got nice weather this weekend. It's been like that here this week. The only things I have peaking out are the bluebells and the hyacinths. Tomorrow I will be moving the protective leaves from my beds. Not the best pic of Tyler. Looks like he has resting pout face. Any worse and it would be the 'b' one. But congrats on getting the starring role. Taboo looks insane. For a moment I forgot it was a BBC/FX show and wondered when it was coming out in theaters. A must see for me. 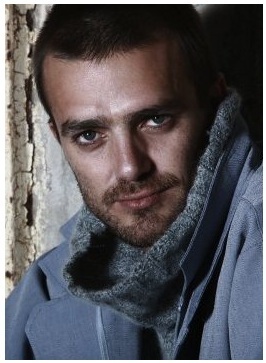 I could not find a better one, he doesn't have tons of photoshooots and most of his pics are from younger days. He does have a very strange face, kinda mean and evil, could be better for villain roles. I am not much into video games, but Ready Player One sounds intriguing. I'm not either, I will be skipping that one. 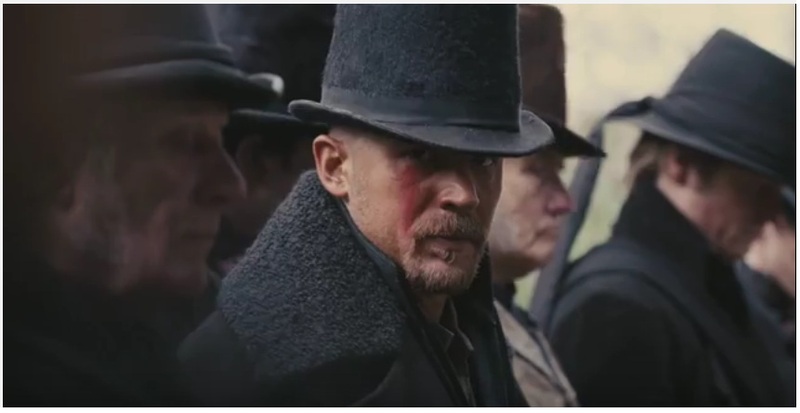 Taboo looks interesting, with some good eye candy. Be welcome, glad you enjoyed them! It's been a long time since I watched a show produced by the CW network but I like the concept of a television series that is set on Mars...or any other planet besides earth, for that matter. It's cool when writers and producers expand their imaginations to explore worlds outside of what viewers are used to seeing on screen. That TABOO TV series looks like it's going to be hot! 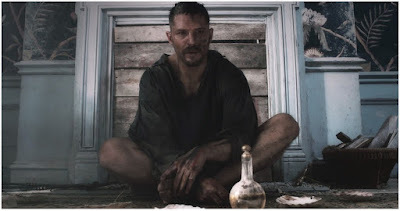 I just saw Tom Hardy in THE REVENANT and his acting performance was good in that movie. I haven't paid much attention to his career much but he seems to be a talented actor. Also while I'm unfamiliar with the novel Steven Spielberg's adaptation is based on, I am usually, if not always, willing to watch just about anything he touches. I didn't even know he was working on a new movie, so it will be interesting to see how this particular project develops. That Mars series will be based on that Indian legend of the whole tribe that went missing just like that, Raanoke or something like it. Hardy sure is talented. I personally don't like the fact he always plays maniacs and very violent people. I preferred his early British career. You always post such fantastic trailers!! Have a great weekend Dez!! I'm just waiting for the inevitable "But the book was so much better" for Ready Player One.